AT THE PIMA AIR AND SPACE MUSEUM IN TUCSON, ARIZONA. 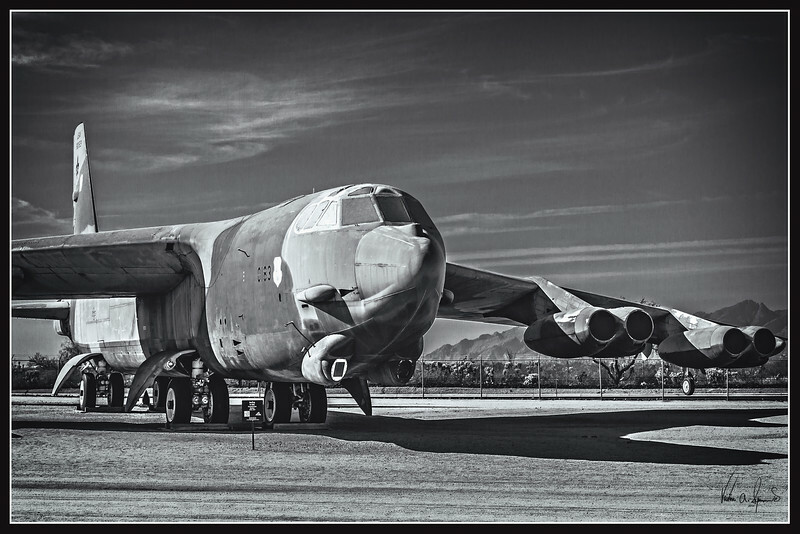 THE AIRCRAFT IS THE BOEING B52G STRATOFORTRESS BOMBER AKA "VALKYRIE". EIGHT PRATT AND WHITNEY J57-P-43WB TURBOJET ENGINES WITH 13,759 POUNDS OF THRUST EACH.